As the importance of electronic and digital devices in the provision of healthcare increases, so does the need for interdisciplinary collaboration to make the most of the new technical possibilities which have become available. 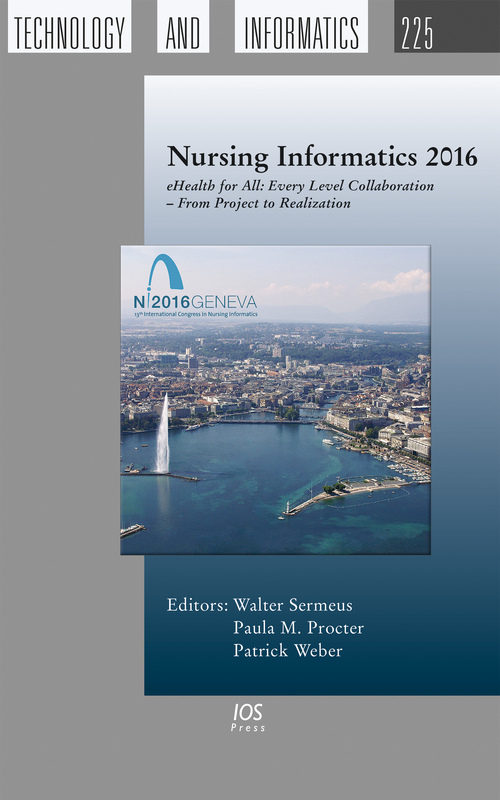 This book presents the proceedings of the 13th International Conference on Nursing Informatics, held in Geneva, Switzerland, in June 2016. This biennial international conference provides one of the most important opportunities for healthcare professionals from around the world to gather and exchange expertise in the research and practice of both basic and applied nursing informatics. The theme of this 13th conference is eHealth for All: Every Level Collaboration – From Project to Realization. The book includes all full papers, as well as workshops, panels and poster summaries from the conference. Subjects covered include a wide range of topics, from robotic assistance in managing medication to intelligent wardrobes, and from low-cost wearables for fatigue and back stress management to big data analytics for optimizing work processes, and the book will be of interest to all those working in the design and provision of healthcare today.